This week I've been busy with the holiday so I haven't blogged much. I posted an article on taking good photos for holiday cards. I reviewed two books by Lisa Samson. Lisa was baptized Catholic, and attended mass as a child, but later became Protestant. Lately she reverted to the Catholic faith. The Living End is about a woman whose husband died, and who plans to commit suicide after she completes his list of things he wants to do while alive. Church Ladies is the story of a minister's wife who carries with her the guilt from a serious sin. Hope you all had a wonderful Thanksgiving. Please share your posts with us, just remember if you leave a link to your blog here, your blog should have a link back here. Thank you RAnn for hosting Sunday Snippets. I hope you had a great Thanksgiving! Ok I think I get it now . It's about some post we have made . 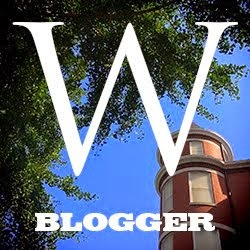 I linked to another blogger instead and some other website I joined this week. Sorry if I didn't explain it right in my post , but now I get it . Thanks for hosting Sunday Snippets every week. God bless! Glad to see all posters together with RAnn today. It is really wonderful to have a group of fellow Catholics to share with. RAnn, thanks for doing this. Thanks. Tabb Centenary Year LXIV: Five poems by Rev. John B. Tabb. Thanks to our gracious hostess, RAnn. Happy Thanksgiving! This week on Sunday Snippets, WBN presents: God, Country, Family. Thanks RAnn for hosting us once again! *What is true sexual liberation?